Nomi Prins, bestselling author and former Wall Street insider, joined Max Keiser on the Keiser Report to discuss Donald Trump’s cabinet and the advisers of Goldman Sachs who have only filled up the swamp in Washington further. Nomi Prins is a former Managing Director at Goldman Sachs and worked previously for various major Wall Street banking institutions. She is currently working on her next book titled Artisans of Money that explores the relationships between central banks and the power influenced from these institutions. 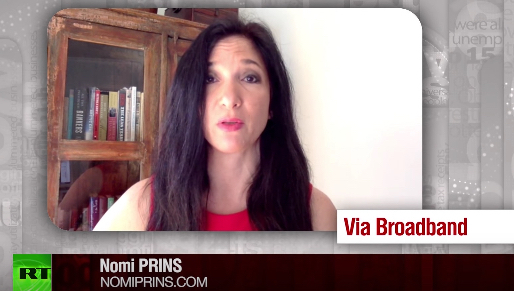 Nomi Prins’ work has appeared on The Guardian, Bill Moyers, New York Daily News and more. 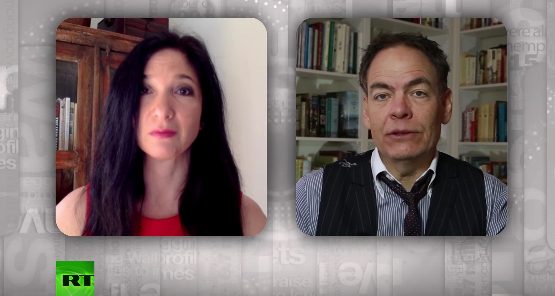 To catch the full interview with Nomi Prins on the Keiser Report CLICK HERE. Thank you for visiting The Daily Reckoning.